Lights . . Camera . . Dance! 2012 Chairs Gabrielle Patout and Lory Tauber announced in April that legendary singer-songwriter Kenny Loggins will headline the 32nd Annual Friends of the Stehlin Foundation Gala. The Grammy Award-winning Loggins, perhaps best known for themes from the blockbuster movies Top Gun, Footloose, and Caddyshack will rock the house November 10 at The Westin Galleria Houston. The Gala theme will salute Hollywood’s music and movies, and you may download an invitation here. Another perfect match is this year’s Gala honoree, Elaine Turner. A Texas girl with a cosmopolitan sense of style and a serious dedication to the fight against breast cancer, Elaine’s signature boutiques have grown from her flagship store in Houston’s Rice Village to include The Woodlands, San Antonio, Nashville, and New York in 2012. Giving back to the community is part of Elaine’s “personal DNA,” and both she and her company support breast cancer awareness and other causes by hosting numerous fundraisers at her boutiques each year. (Note – see photos from Elaine’s August 2012 event at City Centre benefitting the Foundation here.) Elaine’s mother currently is receiving treatment for breast cancer. Elaine’s passionate creative vision and positivity blend perfectly with the excitment surrounding the 2012 Gala. 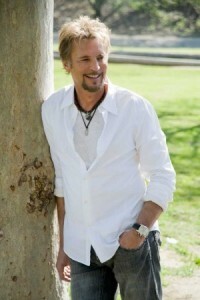 With twelve platinum selling albums, Kenny Loggins’ list of hits is impressive: Footloose – Danger Zone – I’m Alright (Caddyshack theme) – Danny’s Song – House at Pooh Corner – Celebrate Me Home – This is It - Your Mama Don’t Dance - Whenever I Call You Friend – Meet Me Halfway – A Love Song – Heart to Heart – I Would Do Anything – Angry Eyes - and on and on. And guests won’t get a break when Kenny leaves the stage. Skyrocket!, the “wickedly original party band” from Austin will take over to keep the dance floor rockin’. To purchase tickets or tables online, CLICK HERE. If you have other questions regarding the 2012 Gala, please contact Colleen Colton at the Foundation (713-659-1336).